We are gearing up for the season and looking forward to opening May 6th. 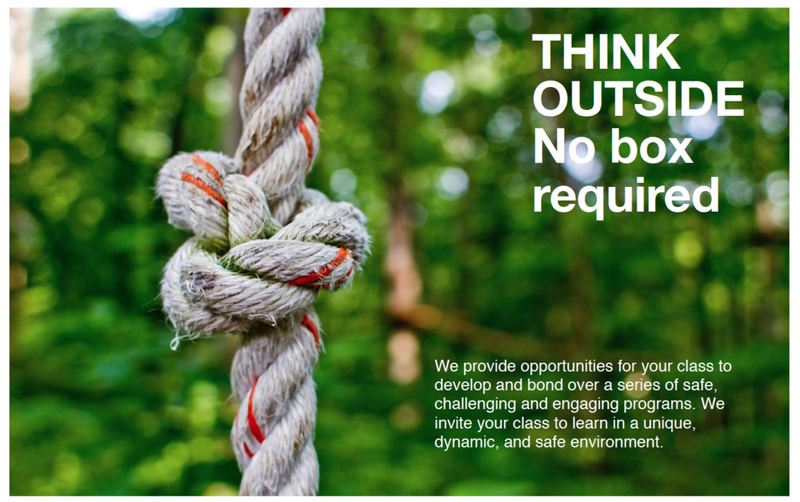 Email us for your next class/team building session at the Ropes Course. All School and Youth groups. Please contact us for June booking specials and incentives for Fall bookings. Postcard coming to all Lower Mainland schools soon. It's time to book for Spring and Fall 2018. Our facilitators work with you to create a program that will meet your specific needs and goals of your organization. 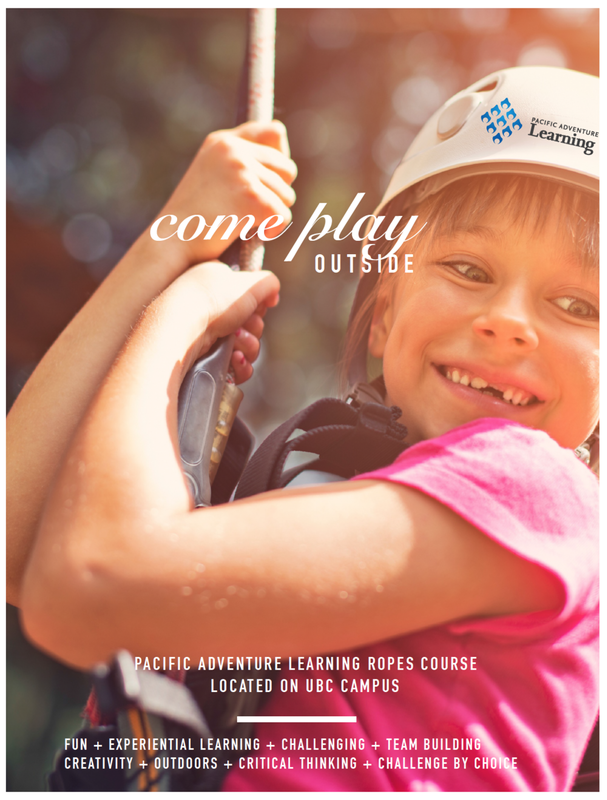 UBC camps offers programs that take place at the PAL Ropes Course during Summer Break. Kids aged 8-13 are invited to join us for 5 consecutive half-day sessions. The week begins with campers working on our group challenges and learning how to communicate and trust each other. As the group dynamic builds, our participants put their skills to the test as they spend the second half of the program encouraging and assisting each other on the high elements. Please note these programs take place at our facility but are offered by UBC Camps. Registration is now open for Summer 2017 programs. Our forested Challenge Course is open from Spring to Fall and is capable of serving up to 75 participants. As each group's requirements are unique, PAL offers customized programs that specifically meet the needs of each party. You can either contact us before to discuss the focus of the day (be it fun, getting to know each other, respect, trust, leadership skills etc...) or fill out our Needs Assessment form that will help us tailor a program just for you. Drop by our booth, meet our facilitators, learn more about what we offer and enter to win a free 2hr field trip to our ropes course (max. class of 30). Hosted at the HR MacMillan Space Centre. Monday, September 28th between 3-6pm. Bring your class out to celebrate the 2015/16 school year, 'where we started and where we are now'. Please contact us for more info and June promo quote. UBC camps offers programs that take place at the PAL Ropes Course during Summer Break. Kids aged 8-16 are invited to join us for 5 consecutive half-day sessions. The week begins with campers working on our group challenges and learning how to communicate and trust each other. As the group dynamic builds, our participants put their skills to the test as they spend the second half of the program encouraging and assisting each other on the high elements. Please note these programs take place at our facility but are offered by UBC Camps. Registration is now open for Summer 2015 programs.